The Courts in Florida are not required to order alimony in all dissolution of marriage cases. Alimony law is a complex area of divorce litigation and retaining a Boca Raton alimony lawyer can help you understand how the alimony statutes apply to your specific case. If you are a payee (the one receiving the maintenance), it is important to understand the alimony statutes. Retaining a Boca Raton alimony lawyer can help protect your interests and make sure you are receiving what you are due under the law. Conversely, if you are ordered to pay support, a Boca Raton alimony Lawyer can inform you about the alimony and maintenance laws. A Boca Raton alimony lawyer can help you discover whether any modifications are warranted after the initial alimony order is entered by the Court. Florida has codified its alimony statues at Florida Statute §61.08, as amended, to reflect several important aspects to the Florida alimony laws. For instance, In order for the court to order a party to pay alimony or maintenance to the other spouse, the court must make written specific factual findings. The Court must find that there is actually a need for alimony or spousal maintenance and whether the other party has the ability to pay. The Court then uses this analysis to decide whether to order alimony in a specific case. If the court makes findings and alimony or spousal maintenance is ordered, Florida Statute §61.08(2)a-j lists factors the court can consider when determining the amount of the payment. The court can consider the standard of living during the marriage, the length of the marriage, and education and employability of the parties involved. This is not an exhaustive list of the factors that the court can consider. If your case is unable to be resolved prior to trial, retaining a Boca Raton alimony lawyer can help discover the important facts of your case and present them to the court during your alimony hearing. The length of the marriage is important when the Court considers the type and duration of the spousal support. 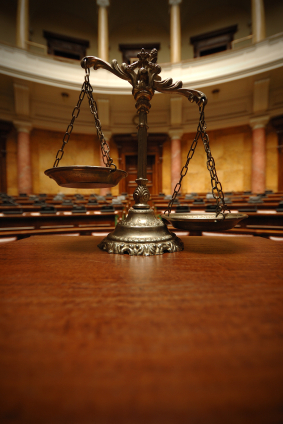 The Court has the power to award several types of alimony. Boca Raton alimony attorney Matthew D. Martin has experience handling child support, visitation, and dissolution of marriage cases and understands how these attendant issues affects the award of spousal support. Divorce and alimony cases oftentimes involve other matters such as equitable distribution, time-sharing with minor children, and parenting plan matters. Boca Raton alimony attorney Matthew D. Martin has experience handling divorce cases involving spousal support and issues relating to children. Our firm offers free consultations by appointment only for alimony cases in our Boca Raton office. Contact us online or call (888) 984-6487.